Type 2 Diabetes and Prediabetes are serious conditions which can lead to early morbidity and mortality. The numbers of people with Type 2 Diabetes and Prediabetes are increasing and by 2040 it is estimated that there will be 642 million cases of diabetes alone worldwide, with many more people having Prediabetes. Type 2 diabetes can remain undiagnosed for many years and therefore screening can bring forward diagnosis, allowing treatment to be started earlier which may reduce diabetes related complications. Type 2 Diabetes is preventable in those with Prediabetes and therefore screening can be used to identify those with Prediabetes for inclusion in prevention programmes. 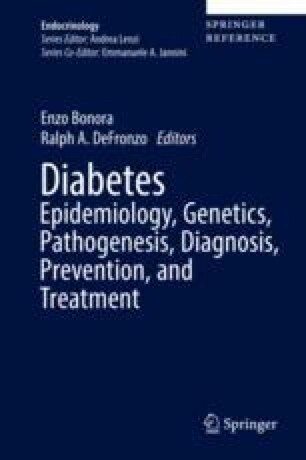 In this chapter we consider the evidence for screening for both Type 2 Diabetes and Prediabetes, using case studies throughout to highlight issues. Committee NS. Criteria for appraising the viability, effectiveness and appropriateness of a screening programme. 2015. https://www.gov.uk/government/publications/evidence-review-criteria-national-screening-programmes/criteria-for-appraising-the-viability-effectiveness-and-appropriateness-of-a-screening-programme#the-condition. Retrieved 4 Aug 2016. Department of Health. A vision for pharmacy in the new NHS. 2003. http://www.dh.gov.uk/prod_consum_dh/groups/dh_digitalassets/@dh/@en/documents/digitalasset/dh_4068356.pdf. Retrieved 10 Jan 2013. National Screening Committee. Criteria for appraising the viability, effectiveness and appropriateness of a screening programme. UK. http://www.screening.nhs.uk/criteria. 2003. Retrieved 1 June 2014. National Screening Committee. https://www.gov.uk/guidance/nhs-population-screening-explained. 2016. Retrieved 21 Mar 2016.